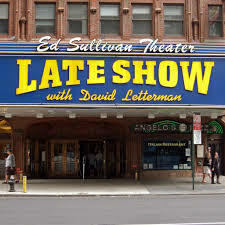 Late Show with David Letterman is excited to offer FREE TICKETS to Greater New York Chapter members from a special ticket allotment not available to the general public. Join Dave, Paul, and other special celebrity guests at The Ed Sullivan Theater for a live taping of the show! To reserve tickets, send an e-mail to lateshowcollegeperks@gmail.com with your name, your guest's name (if applicable), your phone number, and your preferred date(s). UANYC members are eligible for free tickets for themselves and up to one guest. One show per person. All guests must be at least 18 years old.